Guest lecture "Management of entertainment industry"
The objectives of the course is to get comprehensive knowledge in the field of entertainment industry. It aims to understand the essence of the concept of "entertainment", the specifics of the entertainment industry, its various forms and types. Entertainment, being a natural need of man as a social being, in recent years occupies a significant place in the structure of human leisure. Therefore, one of the aspects of training students is the ability to create conditions of entertainment, using all the variety of ways, types and forms of entertainment. 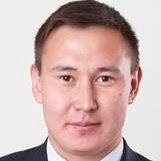 Karatayev Didar is a holder of Presidential scholarship “Bolashak”, graduated from Hotel Institute Montreux, Switzerland. He had internship at Luxury hotel Alpina Gstaad in Switzerland for six month. Master of International Business in Hospitality management. An author of several articles in the topic of tourism entrepreneurship and a member of Erasmus project “Implementation online entrepreneurship study for Central Asian Countries”. Lekcija plānota Alberta koledžas un Ekonomikas un kultūras augstskolas Starptautiskās nedēļas ietvaros. Lekciju aicināti apmeklēt studējošie, docētāji un interesenti!